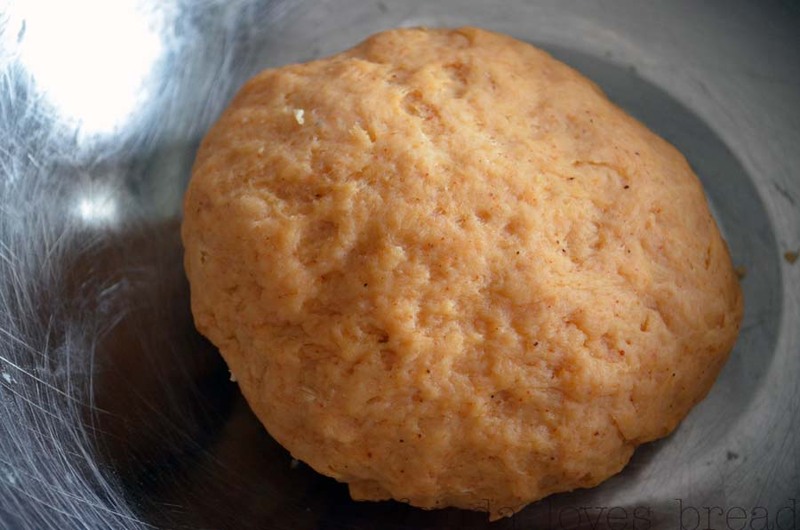 If you haven't made your own flour tortillas, now is the time to try! 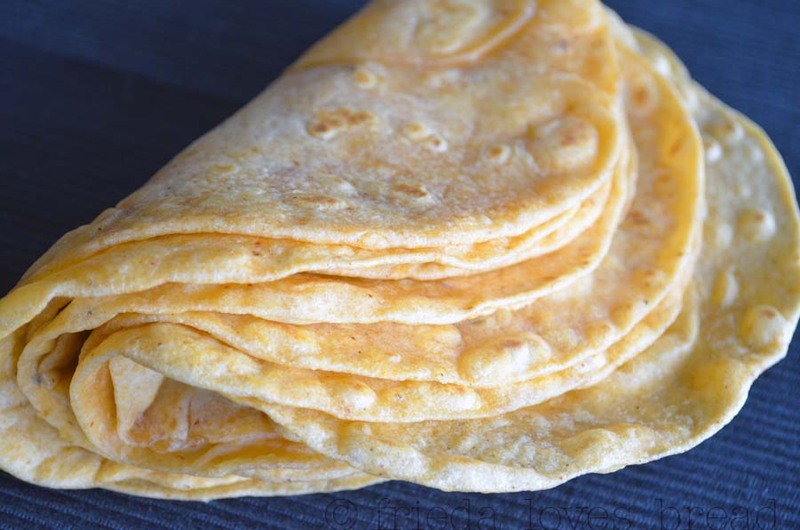 When you make these thin, light, and soft tortillas, you will never go back to store bought tortillas. After making flour tortillas a few times, you will want to try making Whole Wheat, Smokey Chipotle or even Chocolate tortillas. 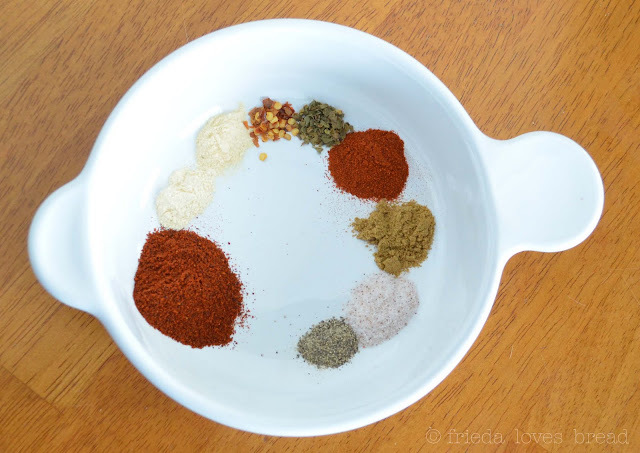 Today's recipe combines the best of both worlds: homemade Taco Seasoning and Homestyle Flour Tortillas. 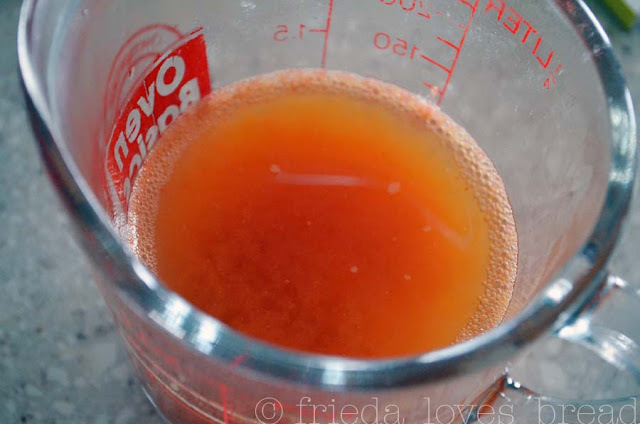 Frozen tomato paste is dissolved in hot water and poured over the flour, baking soda, salt and taco seasoning. The dough is kneaded by hand for three minutes, covered with plastic wrap and allowed to rest for 15-20 minutes. 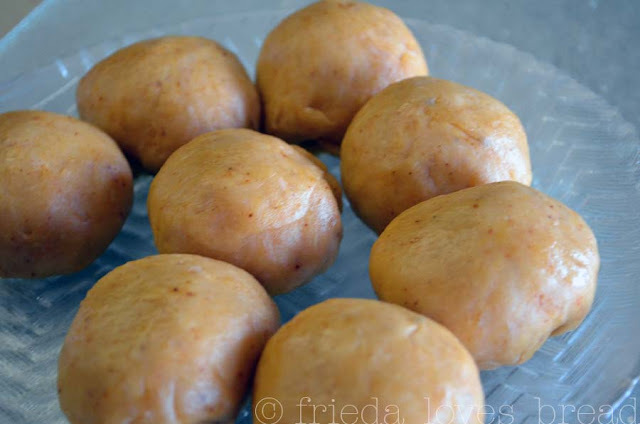 The dough is rolled into golf sized balls, 9 equal portions, or if you are lucky enough to own a kitchen scale: 1.5 ounce portions. ... and cooked on a nonstick skillet. It is so fun to see the bubbles come up! 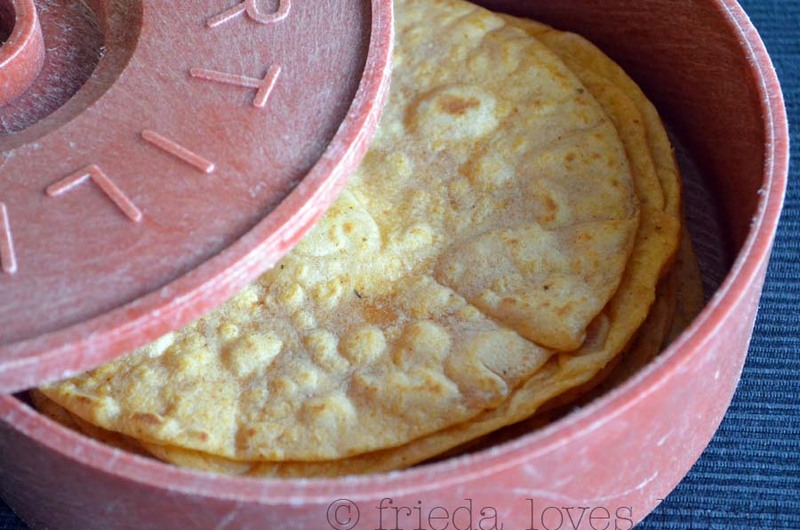 I keep my tortillas warm and flexible in a tortilla keeper. Wrapping your hot tortillas in a clean kitchen towel works well, too. These soft, savory tortillas are mild; not as spicy as the Smokey Chipotle tortillas and will be a hit with kids and adults alike. 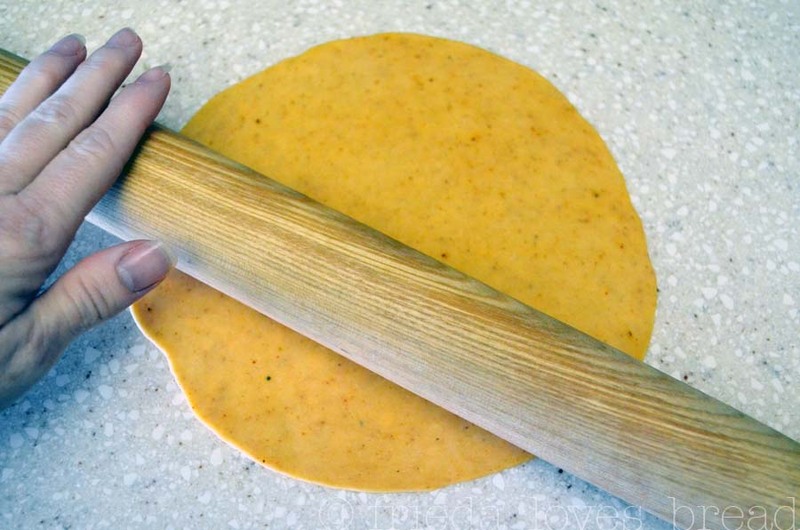 I hope you give making flour tortillas a try for your Cinco de Mayo celebration. It's well worth it! I've been hearing for so long how easy it is to make your own tortillas and have been too scared to. Your blog always makes me want to try something new because you simplify it so easily for me! I totally understand!! I put off things for awhile (like the churros) because I am not sure if I have the right ingredients, tools, etc. These are easy to make. It does take some time in rolling them out (about a minute per tortilla), but that's about how long a tortilla takes to cook. 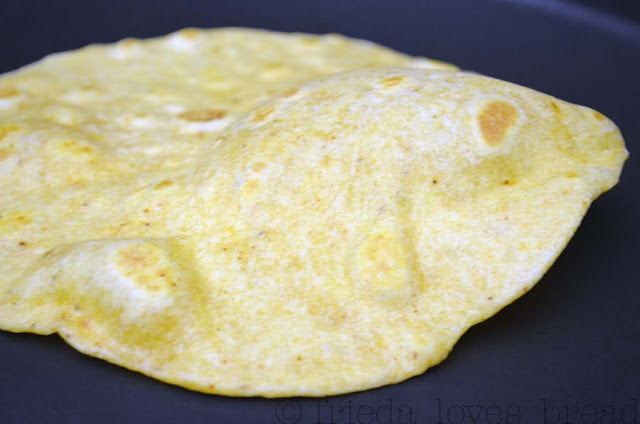 People who have made their own tortillas want to make them perfectly round, but don't worry about that. They will taste delicious and nobody will care if they are perfectly round. Call 'em "rustic" tortillas! I hope you give making these tortillas a try. Frieda, that's brilliant! Confession: I never made my own tortilla, and it's been on my to do list for years now (10 to be exact) eversince I lived in Texas. This might just be the reason why I should make some from scratch! Im glad all is going well with you. Take care always! Cecille ~ I'm rooting for ya! WOW! I never thought to make my own tortilla's. Now I want too! !